To celebrate the National Children’s Dental Health month, Colgate is giving away free kits that include toothpaste and toothbrushes. Just follow our link and supply them with your details to apply for the classroom kit. Click GET FREEBIE button to visit Colgate’s website now and apply for the toothpaste kit today. Clairol is offering 50,000 free samples of their hair colour and you can choose the perfect shade according to your liking. Just follow our link, choose your shade and supply them with your postal details to get it free. Click GET FREEBIE button and get yourself a free sample of Clairol hair color. Auntie Anne’s is giving away free pretzels as a part of celebrations for their 30th anniversary. Follow our link and click RSVP button to show your interest in getting a free pretzel. Click GET FREEBIE button and click RSVP button and they will dish out free pretzels on 3rd March. Skincare Jungle is giving away free samples of L-Ascorbic Concentrate & Hyaluronic Concentrate sample on their website. Just follow our link and supply them with your details to subscribe and they will deliver it to you. Click GET FREEBIE button to visit Skincare Jungle website and order free samples today. Peta Kids is giving away free fish life stickers so hurry and and get one pack for your kids. Just follow our link, supply them with your details and they will deliver it to your doorsteps. Click GET FREEBIE button to visit Peta Kids website now and order free fish stickers. Try out a free sample of Pantene Daily Moisture Renewal nourishing shampoo and many other products from P&G. You just need to supply them with your postal details and your free samples will arrive at your doorsteps. Click GET FREEBIE button to visit the sampling page now and order their product samples today. Intur is offering free travel neck pillows so if you are a frequent traveler, you should definitely grab one for yourself. Follow our link and supply them with your postal details to get it delivered to you. Click GET FREEBIE button to visit Intur’s website now and get free travel pillow today. Get yourself a free pack of funky vape stickers. Fill up the form with your postal details and they will deliver you a pack with random stickers. Click GET FREEBIE button to visit Vape Street Wear website now and order free sticker pack. ORS Olive company is giving away free samples of their hair gel and if you wish to get this freebie, you just need to take a small survey and then provide them with your postal details. Click GET FREEBIE button to visit the survey page now and take a survey to order free hair gel. Sea of Spa is giving away free samples of contouring face and eye serums. Follow our link and supply them with your postal details and they will deliver the sample pack to you. Click GET FREEBIE button to visit sample offer page now and order the face and eye cream. System Jo is sending out free samples of their massage kit and other sensual products so hurry up and get them right away by supplying them with your details and receive them right at your doorsteps. 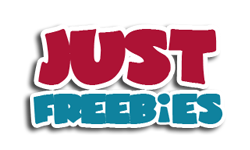 Click GET FREEBIE button to visit System Jo website now and order free product samples today. eXO is giving away complementary samples of their face moisturiser so hurry up and pick one up for yourself. Follow their link and supply them with your postal details to get a free sample. Click GET FREEBIE button to visit their facebook page and order free sample of eXO face moisturiser. Hurry this freebie is going to go fast! Color WOW are offering their new product called Pop & Lock, which is designed to give your hair more of a shine. Click GET FREEBIE and click Sign up and enter your details. Allure has got free samples of First Aid Ultra Repair cream that restores and replenishes your skin. Follow our link and supply them with your postal details and they will deliver it to your doorsteps. Click GET FREEBIE button and get a free sample of Ultra Repair cream from Allure. You can get yourself a free Cuisinart 14pc Chef’s Classic Non-Stick Hard Anodized Cookware Set from DealMaxx. All you need to do is visit the giveaway page and fill up the form to submit your entry. Click GET FREEBIE button and submit your entry for a chance to win this cookware set.